Imagine lunch time being terrifying. Hard to picture as an adult because we look forward to lunch every day right? For some of our children, lunchtime can be scary because it is loud and noisy and very over-stimulating. There’s also the cafeteria rules that must be followed and specific tables you must sit at with your class. You also have to factor in how much time your child has to eat, can they open containers on their own, is lunch right before recess, so they are eager to get outside to maximize playtime, are adults or other children pressuring them to eat? There are so many factors to consider in your child’s lunchroom success. It’s easy to want to have lunch with your child every day to help them survive the lunchroom sensory overload, but we all know it isn’t practical. So what are some things we can do to help our children with the lunchroom anxiety? Give them something to look forward to in their lunchbox! I can remember sitting down at the lunch table with my classmates and comparing lunches. Looking around the table to see what everyone else brought was always how we started lunch. No matter what I had to snack on that day, I could always count on an uplifting note from my mom to be written on my napkin. This simple note meant everything to me as a child. The fact that my mom thought about me and wanted to say something encouraging to help me succeed with my day made such a positive difference in my attitude. This is something we can all easily do while packing our child’s lunch. If you can’t think of something to write, put a sticker inside their napkin. It will bring a smile to their face immediately! 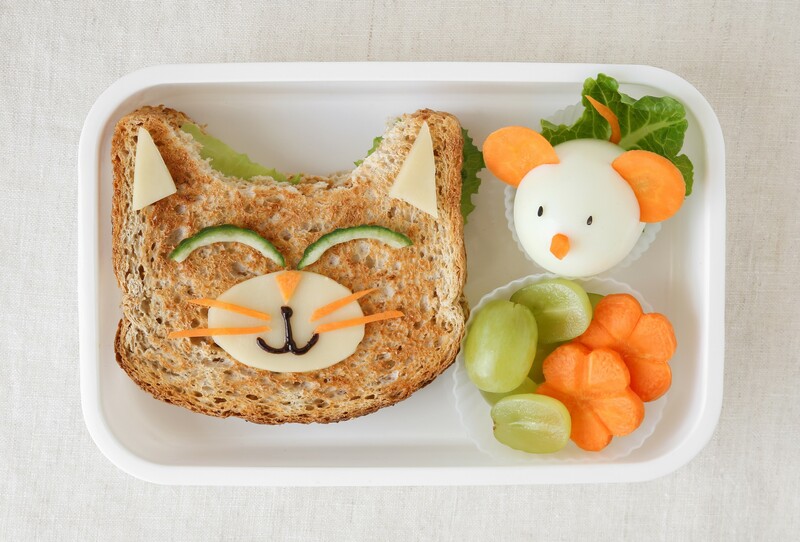 Another great way to help your child ease into the lunchroom environment is to pack fun food. Fun food doesn’t have to mean unhealthy food. There are some great ways to make healthy food exciting and entertaining. One of my favorite ways to keep kids busy at lunchtime is to pack a lunch that has some assembly required at the lunch table. This is a great way to distract your child from the lunchroom madness unfolding around them and keeping them focused on the task at hand, eating! Peanut butter and jelly tacos are a favorite around here. I cut a piece of bread into a circle and pack all the ingredients separately. I usually send, peanut butter, jelly, blueberries and strawberries and a plastic spoon to help scoop all the goodies in the “taco.” Not only is this a great lunch idea, but it gets the other kiddos talking to my child about their cool lunch! I call that a win-win! Other easy go tos for the lunch-packing professional are colorful containers and fun cookie cutters. If you are sending a sandwich, why not send it in the shape of a lovely heart or a magical unicorn? Another lunchroom tactic I like to utilize is sending twice the treats. Yes, double. If I have a fun sugar cookie to send, I usually include two. One for my child and one for a pal. This is always exciting because it gives your child the opportunity to share something special in their day with someone else. I encourage my children to find a child they don’t know very well or challenge them to search for a child that looks like they are having a rough day and share their extra treat with them. This also gives us something fun to talk about during dinner time later that evening. Easing your child’s transition into the lunchroom jungle is trial and error. Chat with your child about their lunch that day and see how they respond. What did they like the most about their lunch, what would they change? 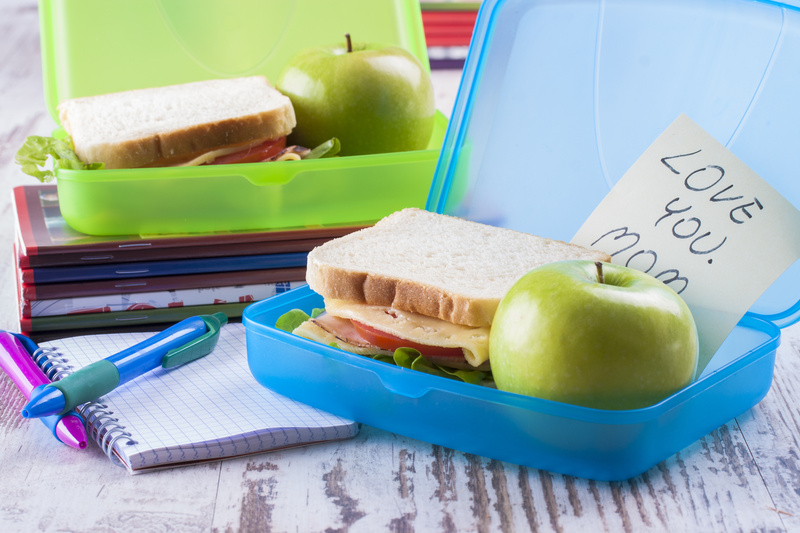 With just a few extra steps in the lunch-packing process, together, you and your child can work to help conquer lunchtime anxiety and survive the school year!